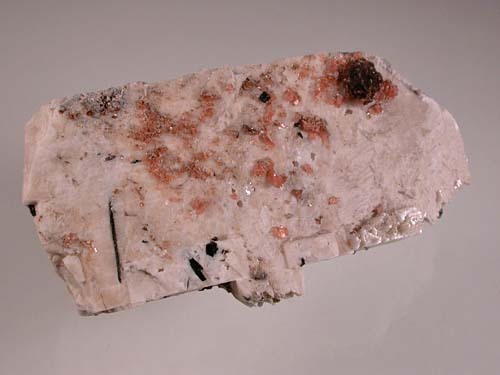 The top of this thick microcline crystal fragment is sprinkled with orangey-pink, gemmy crystals of serandite to 4.5mm in size. 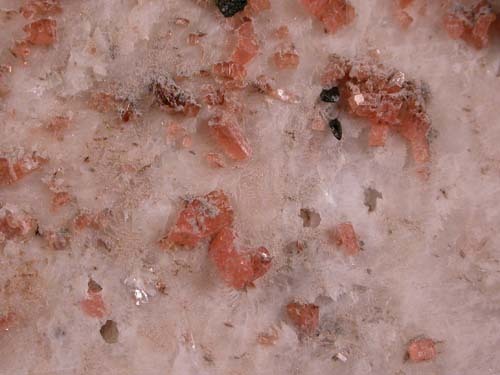 As well there are many small crystals of natrolite, rhodocrosite (rosettes), polylithionite and aegerine. Nice to look at!